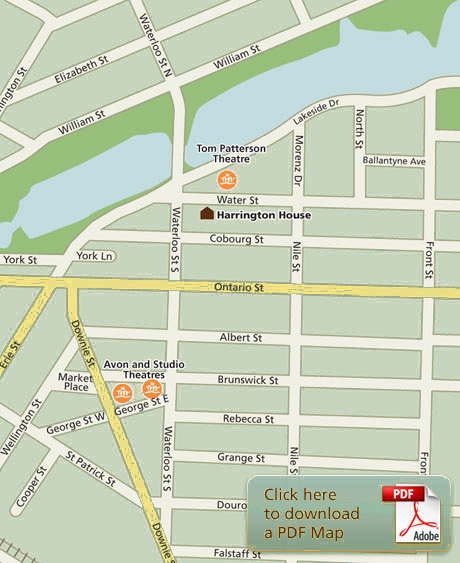 Harrington House Bed & Breakfast has an absolutely ideal location. The Festival Theatre is a short walk down the Avon River, the Tom Patterson Theatre is just across the street and we are located just minutes from the downtown core, the Avon and Studio Theatres, and to the many fine stores and restaurants Stratford has to offer. You can walk just about anywhere including a beautiful walking tour around the river.